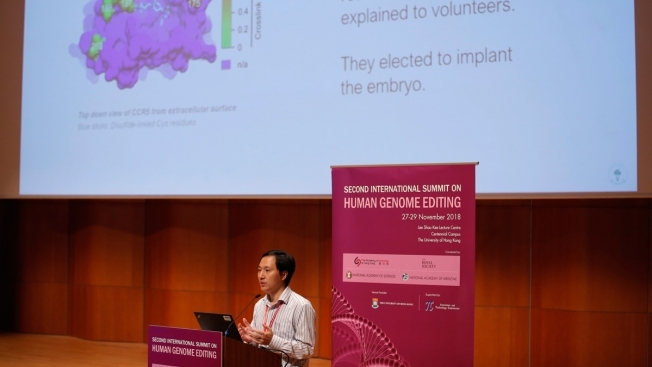 He Jiankui, a Chinese researcher, speaks during the Human Genome Editing Conference in Hong Kong, Wednesday, Nov. 28, 2018. He made his first public comments about his claim to have helped make the world's first gene-edited babies. Other sponsors of the three-day conference are the Academy of Sciences of Hong Kong, the Royal Society of the United Kingdom and the U.S. National Academy of Sciences and U.S. National Academy Sciences.